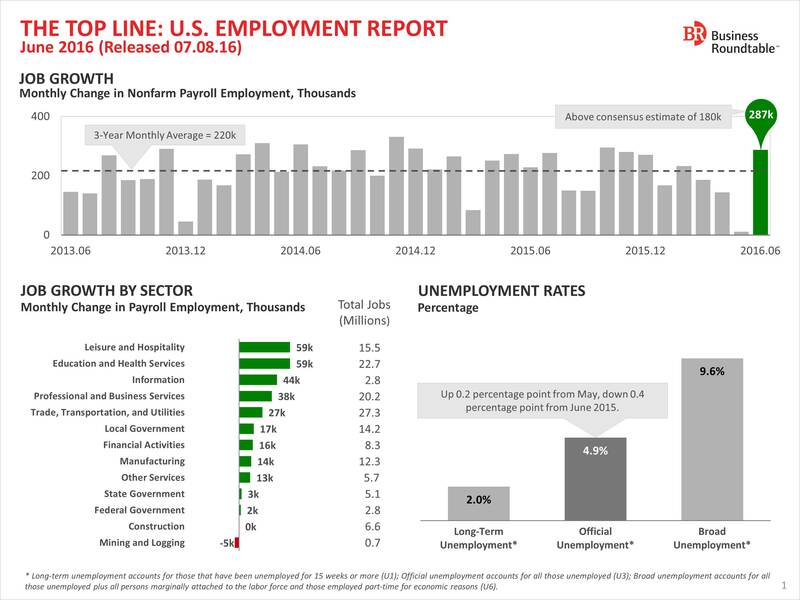 After a slump in May (11,000 jobs), labor market momentum accelerated in June with the addition of 287,000 jobs across almost every sector of the economy. 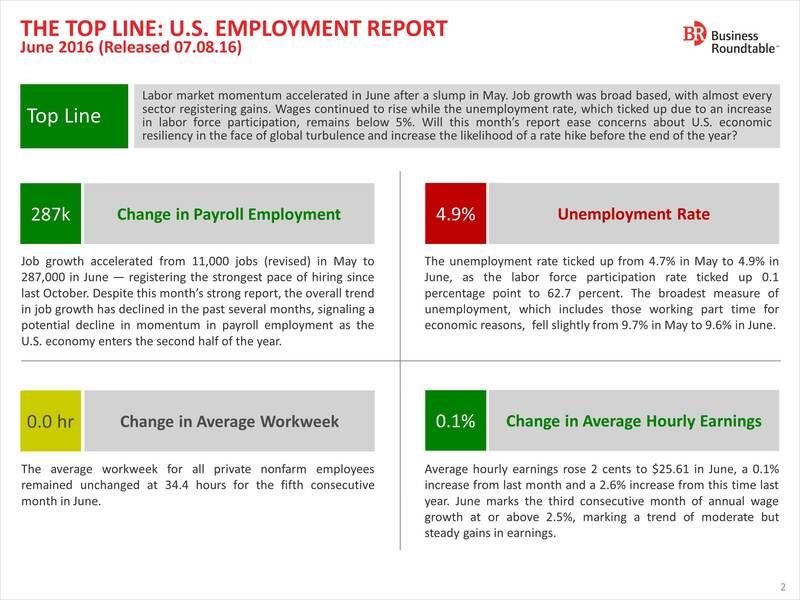 Wages continued to rise while the unemployment rate, which ticked up due to an increase in labor force participation, remains below 5 percent. For more analysis see The Top Line below and online here.